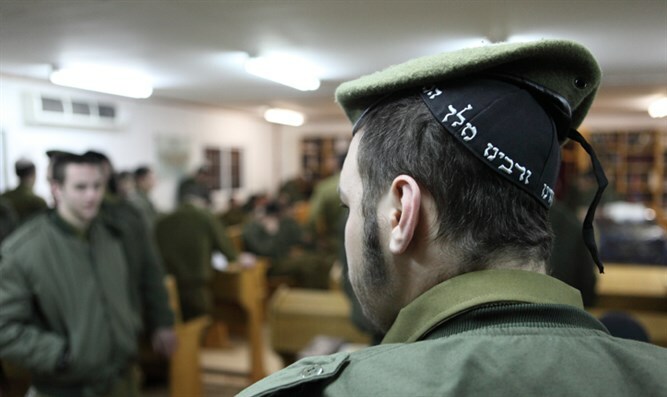 Two haredi IDF soldiers were rushed out of a restaurant last night in the haredi Meah Shearim neighborhood after being verbally attacked. Two haredi IDF soldiers were rushed out of a restaurant last night in the haredi Meah Shearim neighborhood of Jerusalem after being attacked by extremists. Minutes later, policemen burst into the restaurant and rescued the two. Haredi MKs have, so far, remained silent with respect to attacks on haredi soldiers, aside from MK Yakov Margi (Shas), who is working to put the issue on the public agenda. Next week, Margi is to receive a certificate from a group of haredim seeking to express appreciation for Margi’s war against attacks on haredi soldiers. The award is to be granted at a convention on Thursday in Jerusalem. During the convention, lectures and roundtable discussions are to be held on the issue of haredi integration into the State of Israel, among other topics.